For sporty driving in all vehicles classes. Exceptionally good in all driving conditions. The Bravuris 3HM delivers what the affix 'HM' promises: High Mileage! Thanks to minimal wear you can be sure to go further - with regard to mileage as well as superb driving comfort. 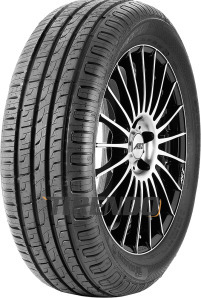 The Bravuris 3HM is a well-balanced tire that perfectly combines greater mileage with confident handling in all driving situations, offering extraordinary value for money. Precise handling and good directional stability on winding roads. The high lateral stiffness due to closed shoulders with macroblocks lead to a superb transmission of lateral forces at minor steering angles. The effect of excellent handling on winding roads is complemented by intermediate ribs which guarantee good directional stability. The large number of gripping edges provided by sipes and the high number of pitches improve the contact with the road surface. The state of the art tread compound also guarantees optimum adhesion and short stopping distances on wet road surfaces. The wide, flat contour and a high number of pitches and sipes evenly distribute the pressure. The block deformation in the ground contact area is thereby reduced and the wear is low, which increases the mileage. I have been driving since May 1964 in UK and on the Continent and New Zealand. I consider myself a considerate road user, conscious of other vehicles and their placement on the road. I try to drive as safely and frugally as possible, although I do let my hair down (if I had enough!) when driving my MGTF135 Sports Car on clear roads. I will use the Volvo's power and acceleration when it is necessary to do so, so reducing any exposure to danger- but that does reduce the mpg factor! 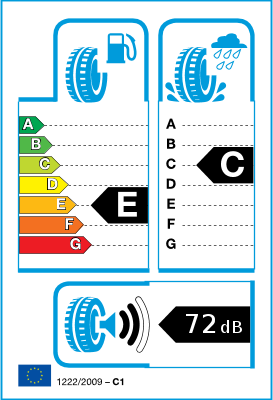 I have used Bravuris tyres since I bought the car in 2014 and found them excellent value for money.